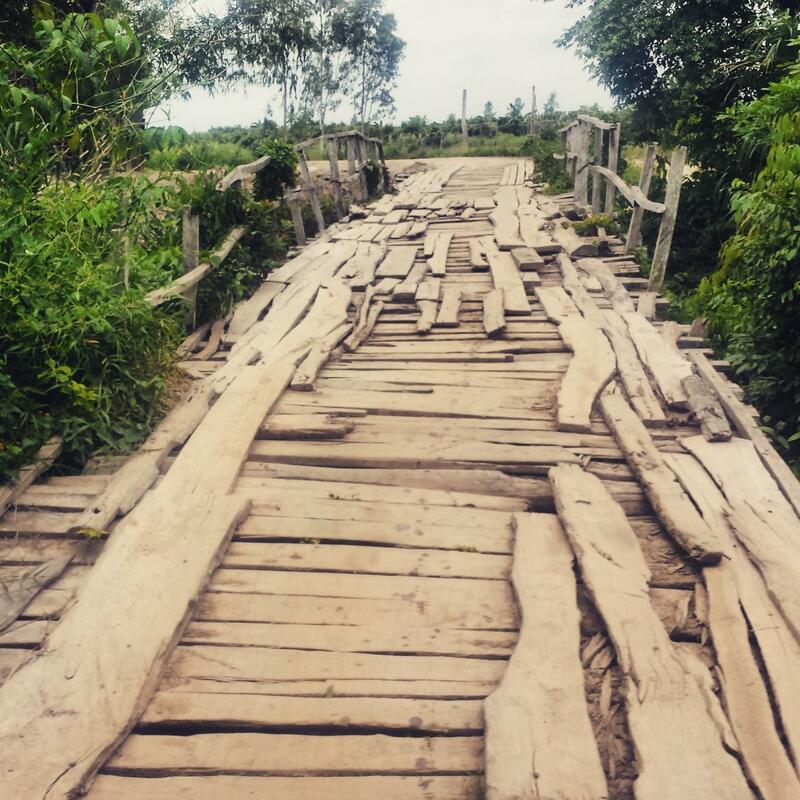 The rickety tuk tuk leaned precariously over the edge of the precipice along the dusty, windy road. Every ditch and burrow left me with a lurching in the pit of my stomach, like that moment when the roller coaster crests to the top of the tracks just before the drop; when your mind races ahead, creating contingencies for your contingencies; when there is time for the hundred decisions, indecisions, visions, and revisions which a minute will reverse. In the past when I thought about epidemiology, I pictured surveys, data coloring in what a place looked like to give it a greater sense of completeness. I would see researchers working in the field in their cargo pants, hands clutching clipboards, sensible boots on dusty fields. 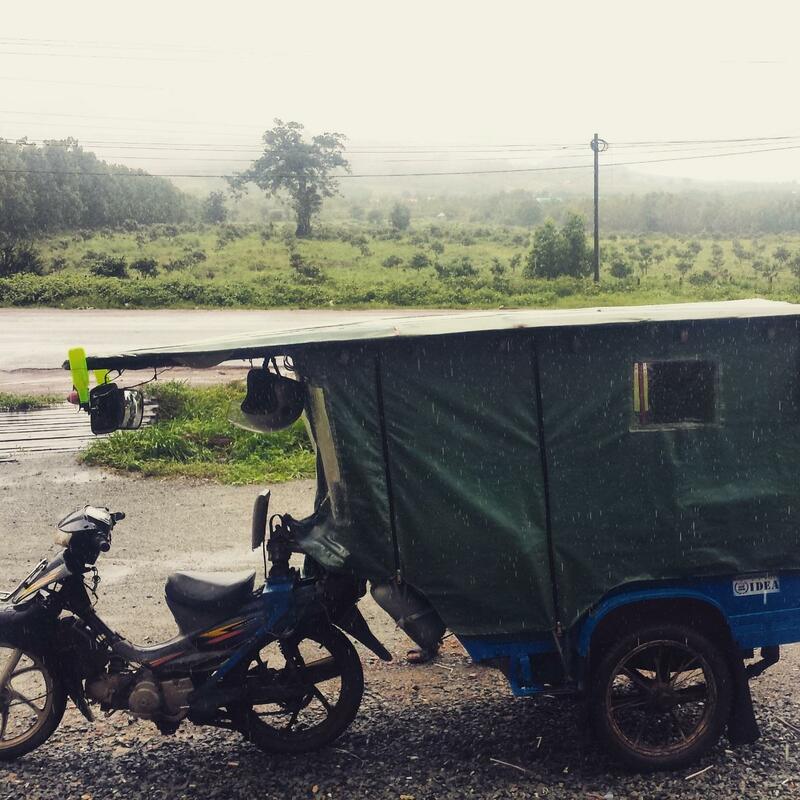 I don’t think I truly understood what it meant to do the work; what it meant to contend with geopolitics, with history, with memory, until I was crammed into that tuk tuk barreling down a dusty village backroad in the Traeng Trayeung commune of Kampong Speu Province, Cambodia. I had been in these kinds of places before as a doctor to provide medical care, and I knew the frustration of not having enough material resources: IV kits, bags of saline, gauze, medications, etc…but this was something else. The sense of loss here was of something much deeper. I had come to Cambodia in 2015 to pilot the use of a retrospective cohort reconstruction as an enumeration method for children living outside of households and family care. My group was going to sample a cohort of children from sometime in the past and find out their household status today. It took months for me to truly understand the method, so one can imagine how challenging it was going to be to explain in rural Cambodia. But my elevator pitch had plenty of opportunities to be refined as we negotiated bureaucratic hurdles and administrative politics to secure permission to conduct our research. Because of our affiliation with a larger study in process, we already had letters from the Ministry of Social Affairs, Veterans, and Youth, the Ministry of the Interior, and the National Institute of Statistics. The study had also cleared the National Ethics Committee. With a preponderance of permission, we thought we were in the clear, but boy were we wrong. Our plan was to construct a cohort from school registrars, believing that mandatory birth registration was too recent for the children to be old enough for our study. If you’re following along, you’ll note the absence of a letter of permission from the Ministry of Education. In something out of a Shakespearean comedy, we met with the Provincial Office of Education, were instructed to get an official letter from our organization translated into Khmer that requested permission to access the records, bring it to the office of the Provincial governor, bring his letter of clearance back to the Provincial Office of Education, and then bring a final letter from the POE to the district office, who would then phone the commune office in Traeng Trayeung. And of course, all of the above had to happen in person, taking up weeks of valuable time. It was never a question of if we would gain approval but rather when. The question came down to the time, and would we have enough of it left to undertake this massive project. We selected a site about 3 hours away from Phnom Penh. In the Cambodia of August 2015, the congestion of City is short lived and rapidly gives way to widely-spaced homes dotting rice paddies and mango plantations. We chose a rural site because the methodology is easier to implement if you have a stable population with little out-migration. But here is where knowing the history of a place becomes important, if not vital. The Cambodia of August 2015 is a product of a generation that was not allowed to foster a culture of education or stability. As a result, migration is high everywhere. Families travel between provinces for a season at a time to work in a plantation. When they bring their children, they are usually enrolled in the local school for a period of time before they all move on to the next village/commune/district/province. Instability and migration manifest themselves in ways that are less obvious, as well. Our cohort was composed of children born between 1998 and 2002. They were typically enrolled in school for the first time at age 5 in grade 1. Today, over 10 years later, among the children who remain in school, who remain in the commune, who have not left to work in a factory in some other province, it is rare to find a child who has advanced beyond grade 6. It is accepted and normalized that children will attend school only some days of the week, the remaining time spent either helping at home or in some other income-generating activity. This isn’t to suggest that the Cambodian people believe in this status quo. Every interview we held with a village chief, a community member, a child, reinforced how desperate they were for education, for consistent schooling, for opportunities a lost generation never had. But how do you fill the gaps left by such targeted brutality when you don’t have the tools? Who will be your teachers? Whose history are you learning? Who has written it? 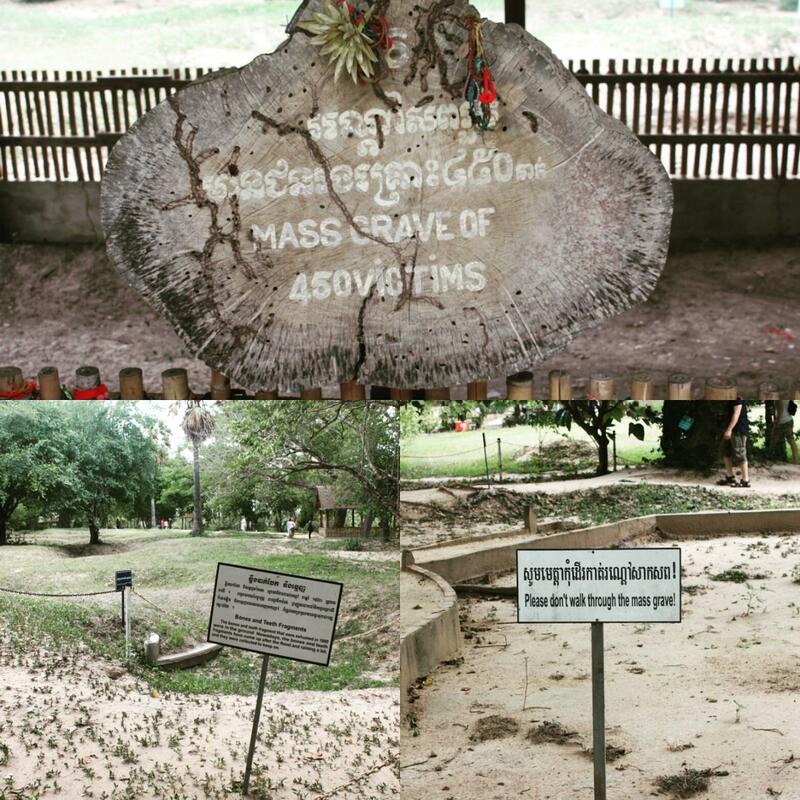 A visit to the killing field of Choeung Ek, where only 8,000 victims of the over 20,000 have been exhumed, where you are cautioned to stay to the path and not disturb the bones you find, is a lesson that in the end, we are all forced to face the truths of our collective history, no matter how deeply they are buried. And it is no mistake that the Khmer Rouge commandeered a school at Tuol Sleng and turned it into a brutal detention center where people were held for interminable periods of uncertainty before being sent to their death. There is a powerful kind of cognitive dissonance found in a bare cot where a prisoner was chained and tortured, lying in the middle of a classroom with the chalkboard still hanging. Today, that same cognitive dissonance is found in the accumulation of those small bureaucratic impediments to research despite a desperate desire to make things better, in the politics of who can advance, in the challenge of just putting one foot in front of the other in the direction of school. As my tuk tuk rolled along the village backroads, my stomach turned not only because gravity always wins, but because of what our being there, doing this work, represented to the villagers and the expectations they had of us. Maybe our presence would finally bring much needed resources to the commune to better outfit schools, to allow children to attend classes more often than just some days a week. One of my biggest challenges in working in the field was not the actual data collection, but rather mitigating expectations while bearing honest witness to history and collective memory. It is as important and delicate a task to understand the root of expectations as it is to be faithful to the methodology. Data is often what is needed to convince people of the true magnitude of a problem in an objective way, but it is empathy, understanding, and recognition of shared humanity that fills in the details of a place and of a people. Figure 2 A successful crossing of an actual bridge over actual water.